Tired of cleansing, exfoliating & moisturising ? Exfoliates, Cleanses & Moisturises in one action. Specifically formulated for dry and extra dry skin. Can be used to replace shave gel by men & women. Our handcrafted, naturally-derived, biodegradable Lavender Liquid Hand/Body wash is a multi purpose product that will exfoliate, cleanse & moisturise in one action. It can also be used as a multipurpose cleaner in the bathroom, shower and on almost all surfaces. Our handcrafted, naturally-derived, biodegradable Lavender Body wash is a multi-purpose product. Due to the fact that it will exfoliate, cleanse & moisturise in one action. Furthermore can also be used as a multipurpose cleaner in the bathroom. Proven to have a instant clean on all your shower glass. Also tried and tested successfully on almost all surfaces as a powerful cleaner. 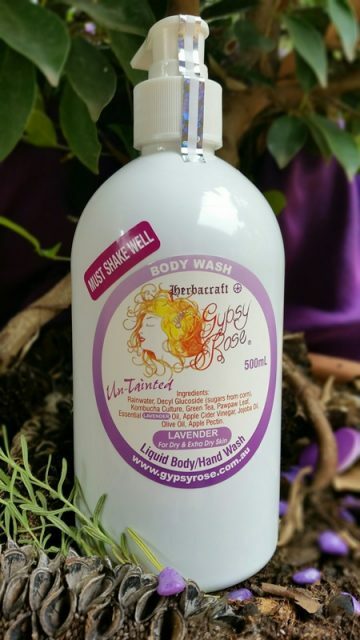 Enriched with skin-loving ingredients, Gypsy Rose Australia’s chemical-free Lavender Body Wash cleanses without stripping. This action will help retain moisture, leaving your skin incredibly refreshed, soft, healthy & glowing. Its free from petrochemicals, parabens, mineral oils, silicones and sulfates. 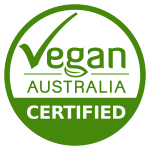 What’s more it’s also vegan friendly, not tested on animals and importantly handmade in Australia. PLEASE NOTE: This product is not suitable for use as a shampoo. 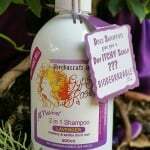 It is a different formulation to our 2 in 1 shampoo, due to the different amount used of the same ingredients. Lavender essential oil is an excellent aromatherapy essential oil for a cleansor. It is widely known to nourish your skin and moisture your body. 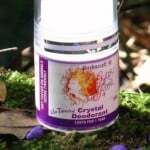 Most noteworthy, it also has a reputation to help in preventing skin issues through the drying elements. Most of all its common property lies in its powerful antiseptic qualities that assist in treating overall skin issues. Due to this property, it may also aid in the improvement of blood circulation. While also another attribute is it can encourage moisture balance. 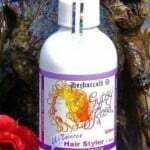 In todays market, it is used in numerous hair, body and facial products. Included in many natural product and synthetic formulations, it continues to perform. QUESTION: The Product doesn’t lather, do I need more? The product has a non-descript flat bubble – which will still cleans and exfoliate naturally. If you would like more creamy lather, try using a loofah or body brush. Don’t judge the softness of your skin until it is dry. If after it’s dry you still feel tight, follow the product with our Gypsy Rose “All Rounder Top to Toe” as a body moisturiser. People will particularly dry skin or during a windy winter season may find this beneficial. QUESTION: Is your product biodegradable? Yes, Gypsy Rose Products are 100% proven biodegradable. Our products are pure and certified to AS4351.5. PLEASE NOTE: Please allow a 2 week trial to allow the Lavender Body Wash to improve and fully revitalise your skin’s condition. Shake bottle with pump in hand. 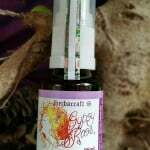 Apply 1 squirt directly onto large a section of the body. Massage gently. Please note: the product will lather if you are using a body brush but not with your hand, it will still clean thoroughly and effectively. Rinse yourself very well until you feel that all product is removed and your skin is clean. It is really important to shake the bottle from side to side before use to release the sediment which settles on the bottom. BUT be aware, if you shake too hard the product may burst out quickly when you open the pump. Product may appear milky in colour after shaking. 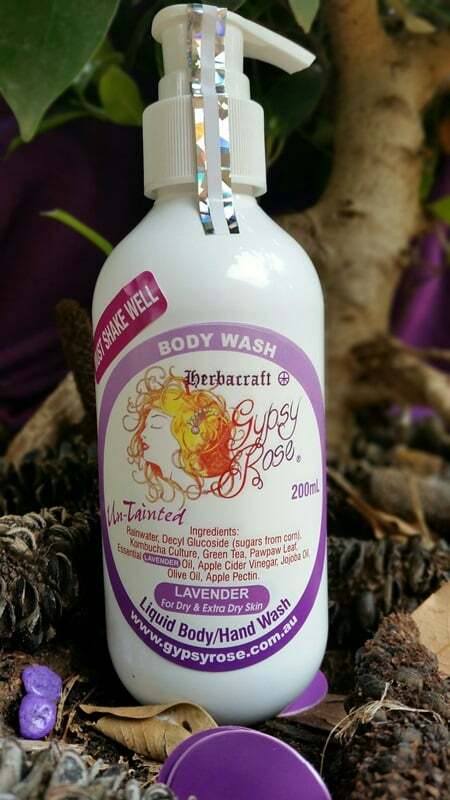 All Gypsy Rose products are handmade in Australia using cold pressed oils and 100% essential oils, fruits, vinegars, teas and filtered rainwater from . Please note: We always source Australian ingredients wherever possible, but sometimes this is not possible. 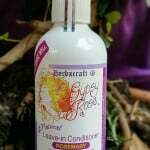 I am in my 60’s so have used so many products especially organic products but nothing comes close to gypsyrose products. 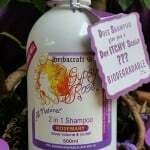 I have very sensitive dry skin and cannot use anything other then gypsyrose body wash. 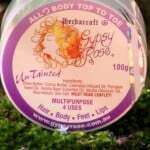 I do not suffer with irritating, itchy dry tight skin after the shower since using gypsyrose products. The beautiful smell floats through the house leaving a fresh clean smell that chemical infused products cannot do. The products last for a very long time so wastage on plastic container is kept at a minimum. I am allergic to the smells of other products that say they are organic or natural and yet I still have a reaction to the smell as I can smell some form of chemical. I know that by buying gypsyrose products because of Karens conscious efforts of solar powered site, environmental work ethics and products even down to reusing delivery packaging means that gypsyrose is doing the best for the environment and our bodies. Everybody goes on about plastic but to me using chemicals on humans in all forms from cleanser to perfumes etc is far more harmful then the plastic bottles gypsyrose uses in her products only as there is no other way to purchase her products. 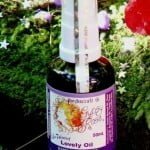 If you are looking for simple clean non chemical products that actually work then gypsyrose is the place for you to shop for you and the whole family.